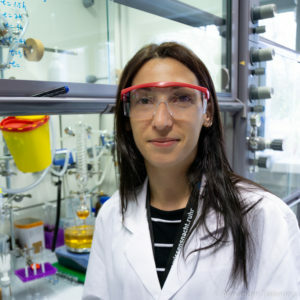 We welcome Katya Kamenova to our group. She will be an exchange student supported by Ersasmus+ from the working group of P.D. Petrov in Sofia, Bulgaria. Katya will do her research stay on the synthesis and characterization of biocompatible block copolymers. 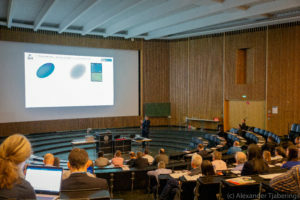 With round 6.000 visitors this year’s Spring Meeting of the German Physical Society (Deutsche Physikalische Gesellschaft e. V.; DPG) in Regensburg was Europe’s the largest physics congress on Condensed Matter. More than 5.000 papers and talks and presentations in the range from typically physical research questions, recent results in semiconductor physics, magnetism, surface science to questions of philosophy or the study of socio-economic systems were on the program. 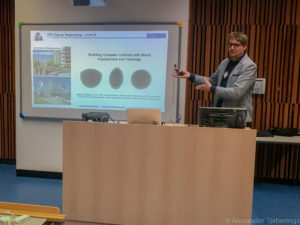 During the section of physical chemistry and polymer science with focus on morphology of complex polymer mesophases, organized by Kostas Daoulas and Prof. Volker Abetz, André was keynote speaker with his talk about building complex colloids with block copolymers and topology. André also chaired a session. Building Complex Colloids with Block Copolymers and Topology. As part of the science podcast Methodisch inkorrekt!, Steffi and Alex had the opportunity to give a brief peek into our research field. The self-titled Rockstars of Science Dr. Nicolas Wöhrl and Dr. Reinhard Remfort started their podcast project in 2013. Until now they have produced over 130 episodes with topics related to science, scientific publications, noble and ig-noble prizes, and everyday life facts. In the interview, Steffi and Alex gave an overview about the concept of junior professorship, our research field in polymer science and hybrid materials, recent publications and group highlight e.g. the group trip to the Macromolecular Colloquium 2019 and ScientificNight Ruhr. "Rockstars of Science" Dr. Reinhard Remfort (l) and Dr. Nicolas Wöhrl (r). ”Freiburg ist nur einmal im Jahr!“ This year, the entire group went to Freiburg to participate at the Macromolecular Colloquium 2019. The main topic of this year’s conference was “Polymers and the Digital Age” and about 1000 visitors ranging from national and international students, researchers and industry partners came together to discus recent developments in macromolecular chemistry. It was my pleasure to be part of this conference delivering a talk on Thursday. Overall, it was a packed trip with evening gatherings at Martins Bräu (continuing the tradition), talks, discussions, dinners and the dance floor of el.pi. The group made connections to other researchers like WaltherLab, WichLab, KlingerLab, BökerLab, WöllLab, LoosLab, SchacherLab, and many more, and gathered much experience at the biggest conference on Macromolecular Chemistry in Germany. Block Copolymer Nanostructures Directed by Curvature and Topological Defects. We report on the formation of shape- and surface-anisotropic Janus nanocups (JNCs) by evaporation-induced confinement assembly (EICA) of ABC triblock terpolymers. During microphase separation in spherical confinement, the triblock terpolymer spontaneously adopted a hemispherical shape with an inner concentric lamella-lamella (ll) morphology. Cross-linking and disassembly of the microparticles resulted in well-defined JNCs with different chemistry on the inside and outside. By synthesizing polymers with increasing length of the cross-linkable block, we tuned the mechanical stability of the nanocups, which is relevant to control opening and closing of the cup cavity. 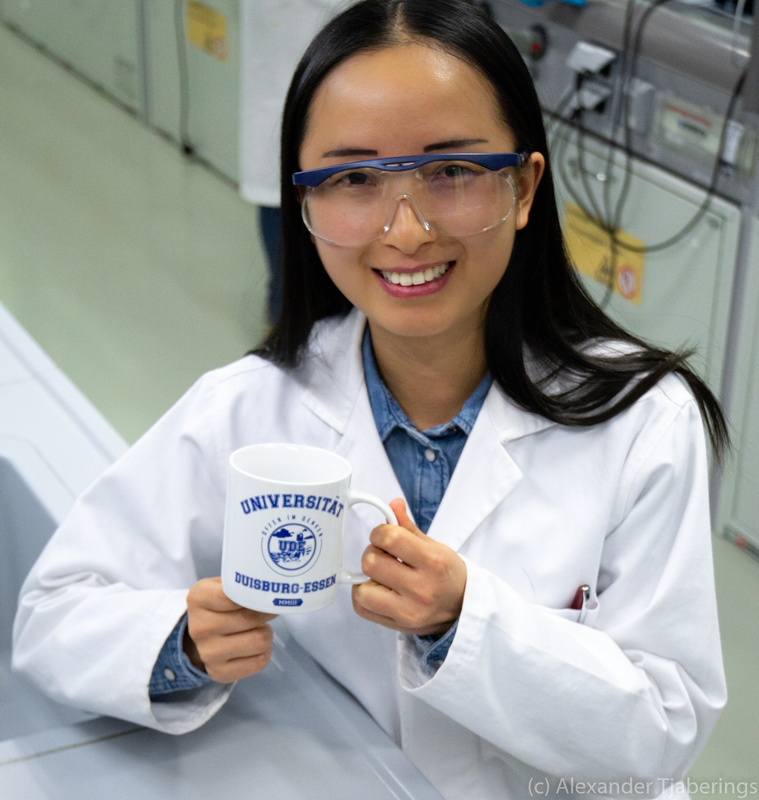 Xiaolian holds a macroscopic UDE cup. We welcome Nicole Janoszka to our group. 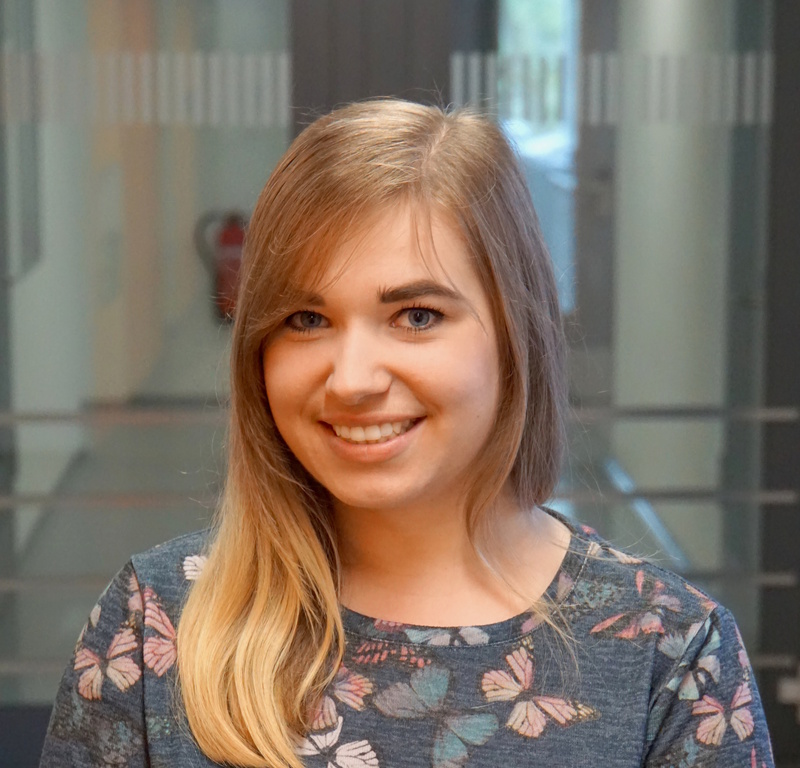 She joined the group on 01.02.2019 and will do her PhD on the synthesis and characterization of block copolymer hexosomes. She will be also responsible for the dynamic light scattering setup.